Articles on renewable energy in Spain always seem to get voted to the top of Meneame, which is good for those of us who like to keep track. 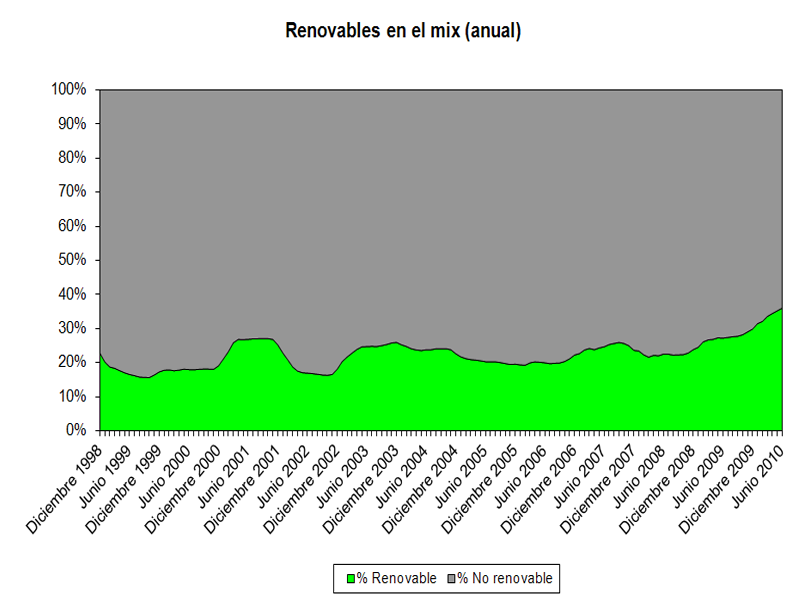 The article on the front page today is this one, which has two graphs showing both the total amount of renewable energy produced from 1998 to June 2010, as well as the same in relation to the total amount of energy produced. While the former has increased by 250% over the past twelve years, the latter is a much more difficult number to increase as the economy itself continues to grow, and thus has only gone from about 20% to 35% or so. 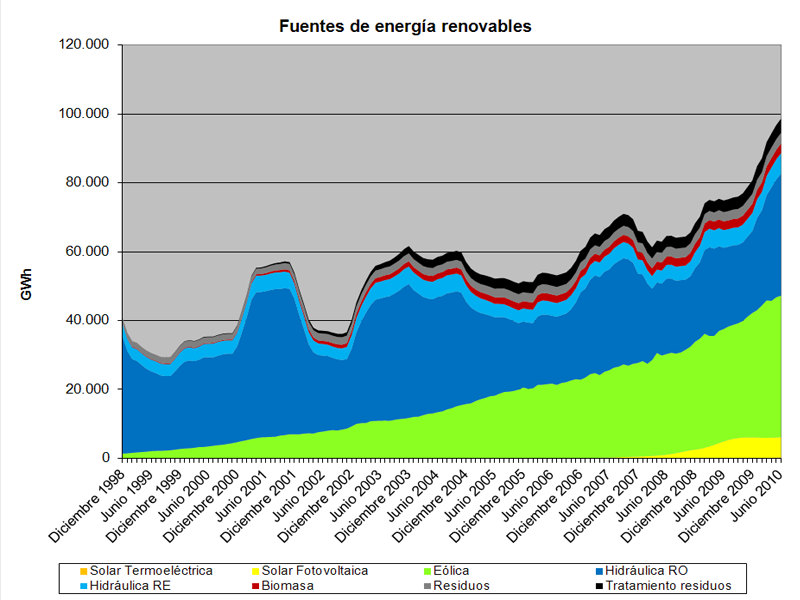 Wind power seems to be showing the most steady increase.